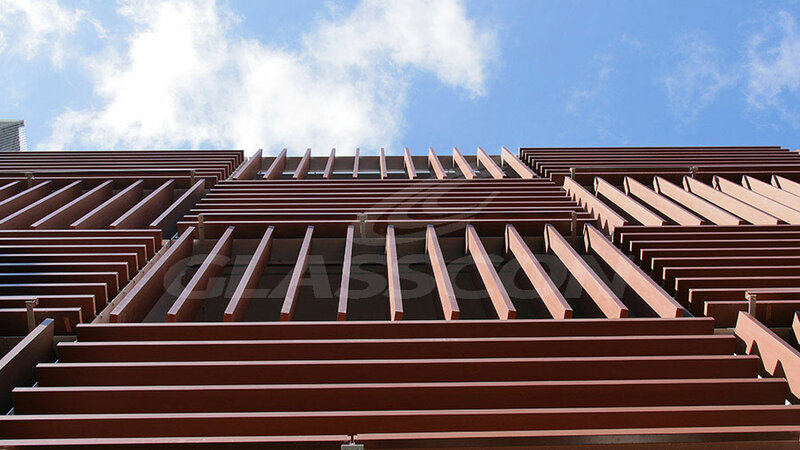 GLASSCONs motorized solar shading system ''glasscon CHL - CORTEN HONEYCOMB LOUVRES'' is a fully innovative & unique louver system of GLASSCON GmBH/Germany. 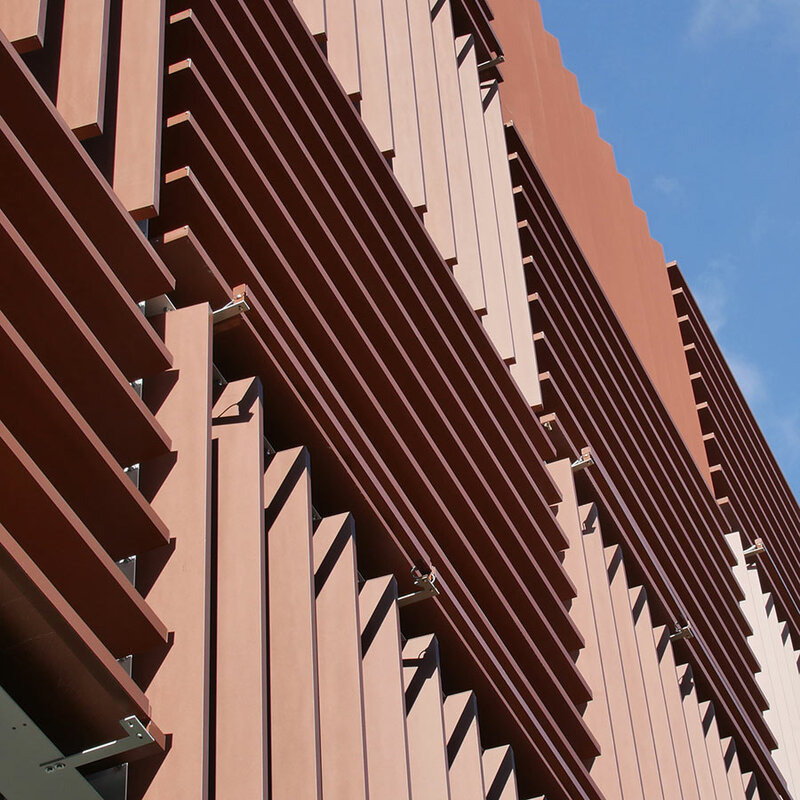 It offers flexible shading and daylight guidance , while using UNIQUE materials & finishes like “CORTEN-STEEL”. 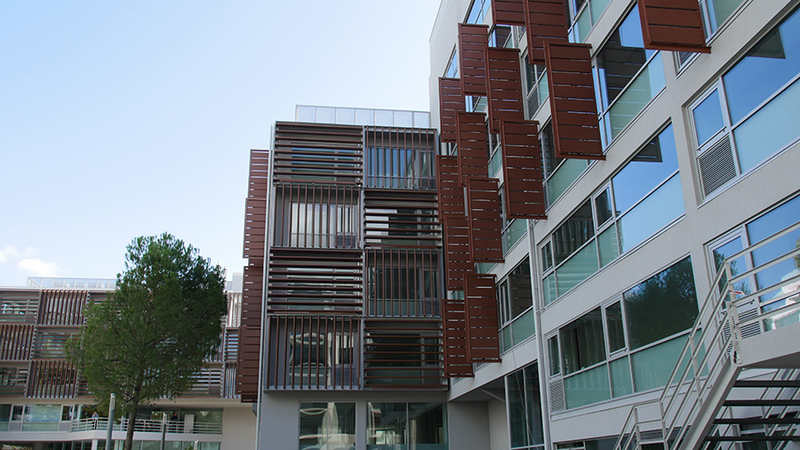 The system can be installed externally on every building envelope p.e in front of curtain walls or skylights. This prevents the bright light from shining through in the summer and overheating of the interior, while in winter when the sun is in a low orbit providing passive solar energy. 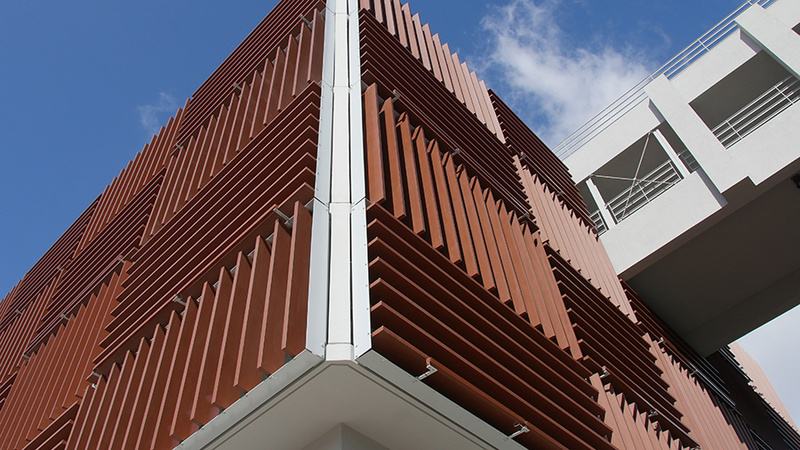 At the same time, it offers a DYNAMIC and UNIQUE architectural effect on the building skin. 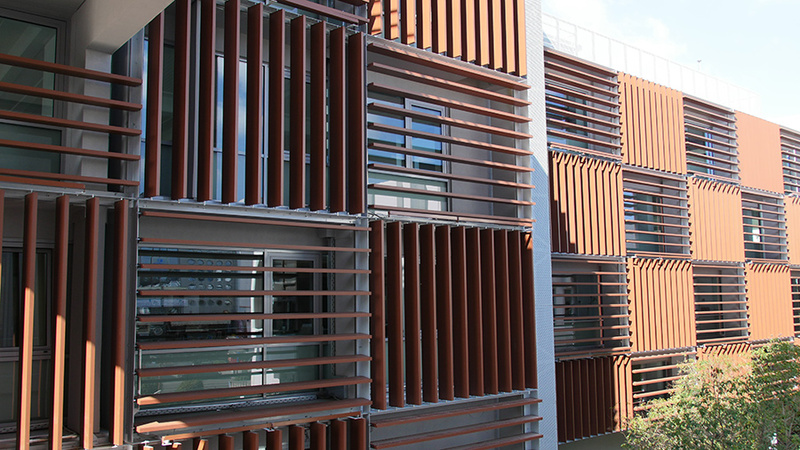 Unique CORTEN STEEL – Louver panels with closed section type «glasscon HONEYCOMB» . 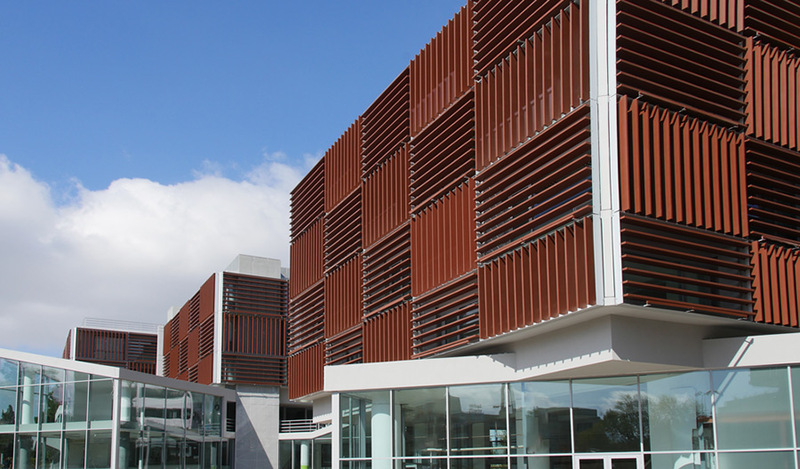 The CORTEN STEEL – Louver panels are extremely rigid and light and have outer surface coating of CORTEN STEEL, while inside a cellular HONEYCOMB CORE offers extreme rigidness. 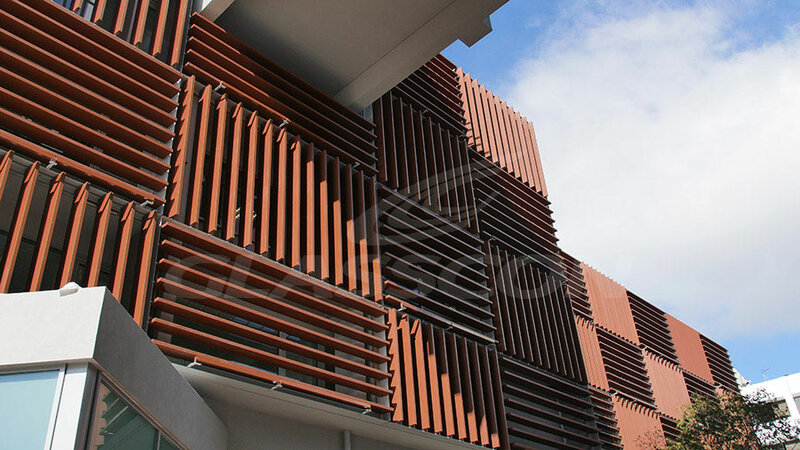 The final product of CORTEN STEEL PANEL LOUVERS – Louver panels are made by gluing two different material-surfaces together with epoxy resin. This way, the use of compact massive material, which is unwieldy, heavy, too expensive and not usually available in large dimensions, can be avoided. 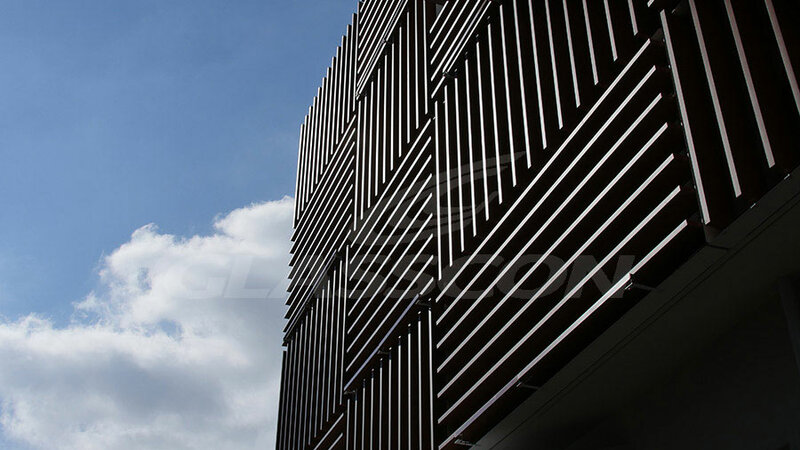 The leveling of the louvers at the ends is achieved with special connectors designed to retrieve expansion and contraction without adversely displacement for long and proper operation especially regarding the motorization of the louvers.